CEI has been working with a local farmer, RSPB Scotland and Scottish Natural Heritage to manage areas of dense soft rush, creating habitat for wading birds in an area that buffers one of our peatland restoration sites. A mosaic of farmland habitats (including more intensively-managed land) is essential for wading birds such as curlew, lapwing, oystercatcher and redshank – all species that are in decline in the United Kingdom. 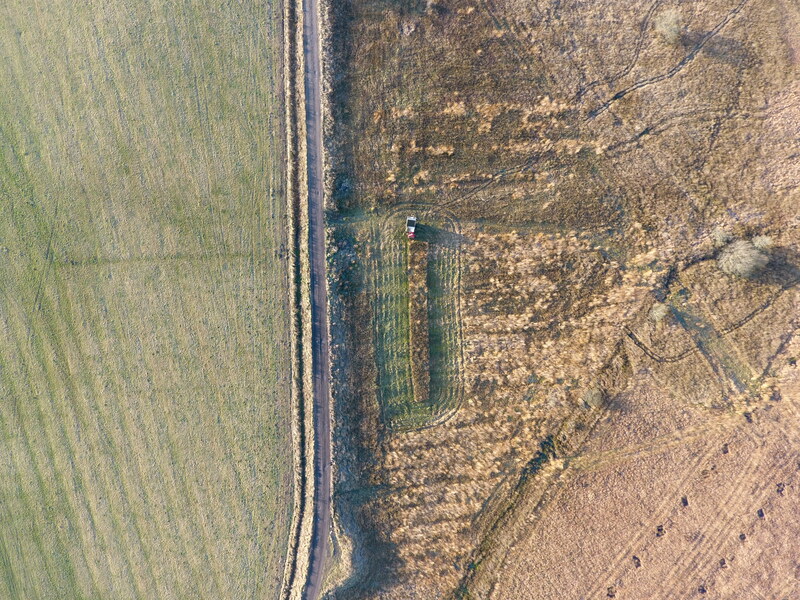 Curlew are thought to prefer rushy fields with around 80% open areas and 20% rush, which is what we are aiming for here. Unfortunately, loss of suitable habitat is just one of multiple issues facing our waders and we are pleased to support our RSPB colleagues in their efforts to pin down the most effective conservation actions for birds such as the curlew. Stephen from Scottish Natural Heritage can be seen here working hard to cut rushes using a special machine called a Sotrak, designed to work in wetlands. This cutting work is happening as follow-up management in areas that were cut last winter. Our friends at RSPB informed us that birds were seen foraging in these areas during the spring and summer! This work is taking place as part of the EcoCo LIFE project (https://ecocolife.scot). 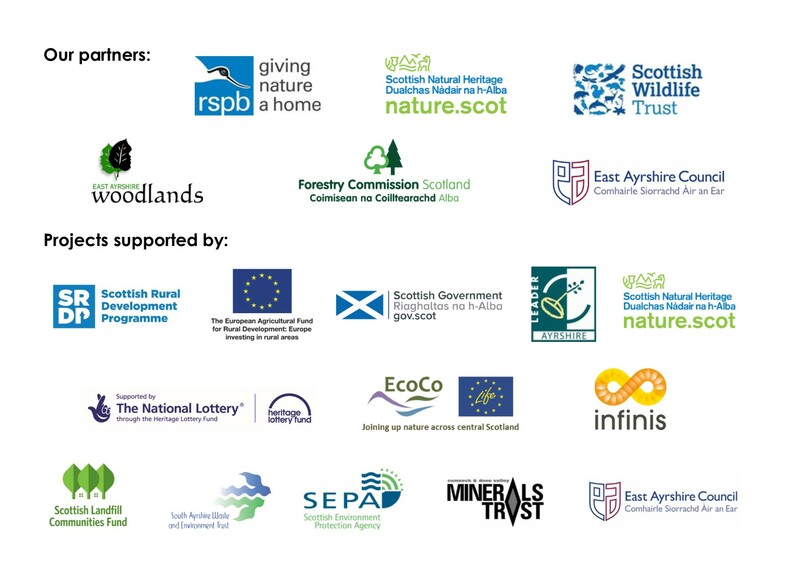 EcoCo LIFE is a £2.3 million (or 3.1 million euro) project funded by the Life+ financial instrument of the European Community for habitat restoration and creation to improve ecological coherence within the Central Scotland Green Network area (CSGN). The project will do this by improving biodiversity at key sites – through habitat creation and restoration to improve habitat connectivity and coherence. The project aims to improve habitat and species resilience, contribute to wider ecosystem services (such as improved natural flood management and reducing diffuse pollution) whilst also contributing to the CSGN’s socio-economic impacts.